Bring dough to room temperature in bag, approximately 2 hours. Remove dough from the bag and place on a floured surface. Let sit 5 minutes. Roll out into long rectangle. Preheat oven to 350 degrees F.
Mix together 2 Tbsp. of olive oil with 1 tsp. minced garlic. Set aside. In the center of the dough, layer ingredients: 4 oz. 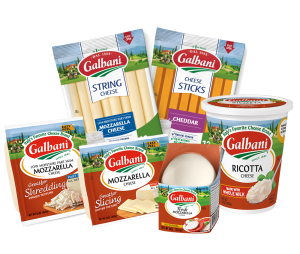 Galbani sliced Provolone cheese, 4 oz. thin sliced Prosciutto, 1 cup of baby spinach leaves, 1/2 of the roasted red pepper slices. Drizzle with olive oil & garlic mixture. Sprinkle with 1 Tbsp. of Galbani grated Parmesan cheese & half of the crushed red pepper flakes. Repeat with second half of ingredients. Roll from narrowest end of dough to widest. Pinch ends and tuck under. Brush 1 Tbsp. of olive oil over the rolled dough sprinkle with Galbani grated Parmesan. Line a baking sheet with foil or parchment. 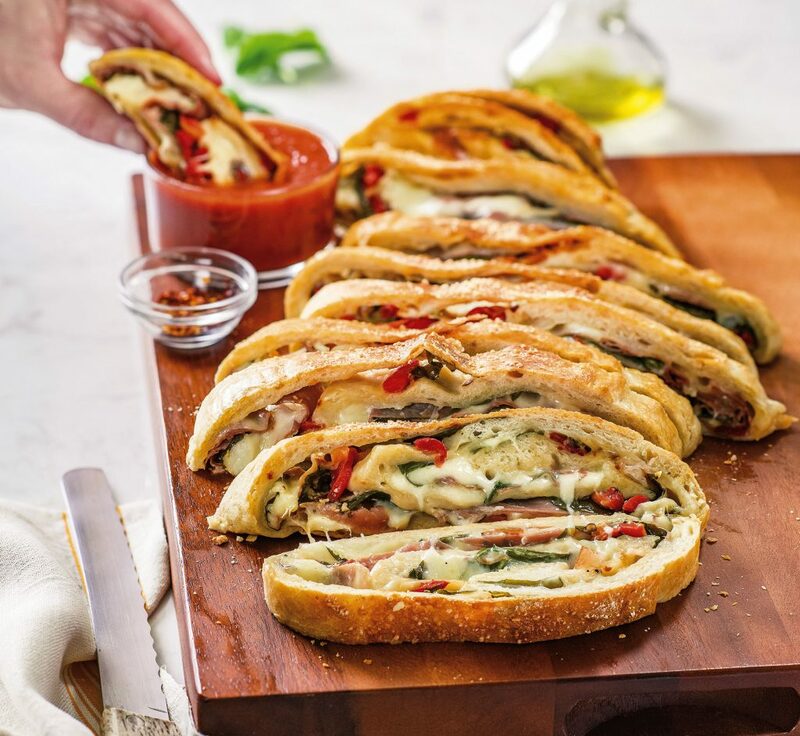 Place rolled Stromboli onto a sheet and bake for 45 minutes or until golden brown. Let it sit for 10-15 minutes to let the interior heat continue to cook from the inside out. Make 1 inch slices through the roll.